Hey Fantagians! Canada and Sameer1000 here! We are now bringing this website back to life so we will be posting a lot on this. This monday, Fantage will be releasing its most visted homes list inside the brand new Hall of Fame. The users with the homes that have had the most visitors within the past week will be featured in this list. Head over to Ottoman’s to get some furniture items to make your home more worth visiting. When you make it onto the list, you will receive a reward of 500 free stars. If you want to get lots of visitors fast, throwing a party is a very good way to get lots of visitors. Hey Fantagains! 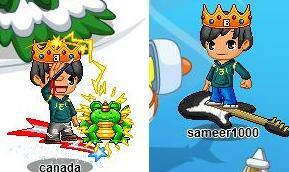 Canada and Sameer1000 here! 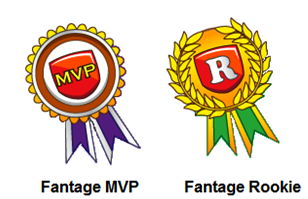 Head over to the Hall of Fame today to see who Fantage’s MVPs and Rookies are this week. MVPs are the users who have earned the most stars over the past week. Rookies are the users who have joined in the last month and have leveled up the most. Some of these users have tied with other users so the higher your level is, the higher your rank will be in the list. If you did not make it onto the list week, do not worry because you have plenty more chances to get into the Hall of Fame. If you want to earn many stars very quickly, buy a double star coupon and use it in the game you play to get double the stars. The sale will only take place this weekend, so hurry to get it while it lasts! Fantage New December Items are Out! sameer1000 here! the new fantage items for december are out! you can get them at le shop, stellar sallon, wizards domain & loco boards! these items will be available until the end of the holidays.